composition attached. Started to crash when I changed the data converter from 'First in List' to 'Last in List' on the 'Get Screen Values' node. See converter between the two Purple Tinted nodes on far left on composition. 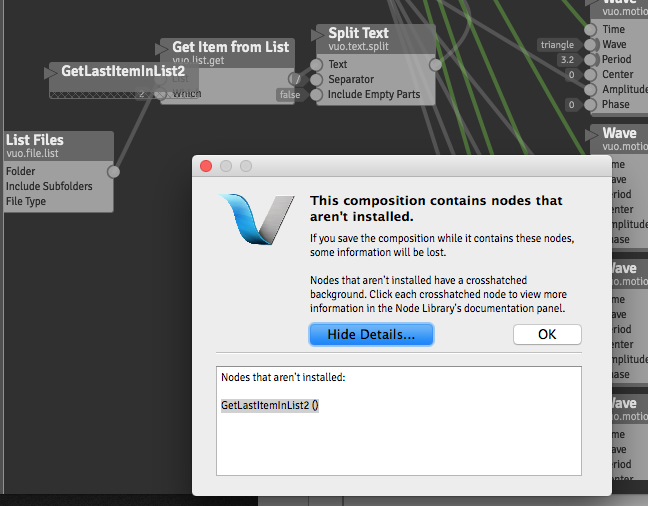 then when i reopened comp i got the same missing node warning and a shaded out GetlastitemInList() node. Strangely, I can't get 'List Screens' output list into a 'Get Item from List node' to select just one for dimensions either. so had to use data converter which fails when using last item in list. Failure of converter —> Crashing Vuo. The crash report appears to be the same underlying problem as Blank Vuo Window Title Crashes VuoCompositionLoader. 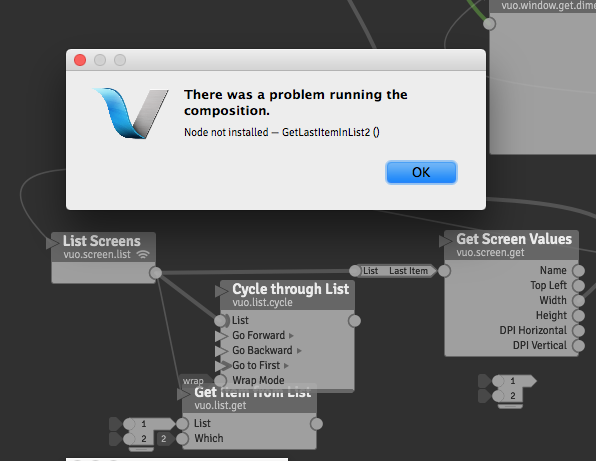 I wasn't able to reproduce the missing node warning. Can you provide steps to reproduce it? Alastair, if you figure out how to reproduce the missing node warning, let us know.